British Gas has recently announced a 15% increase in gas bills for next winter; yet another reminder for UK households to take action, to protect themselves against ever-increasing energy costs. Also recent statistics show that over 400,000 households in the UK have been pushed into fuel poverty as a result of previous price rises, taking the total to just short of 4 million. 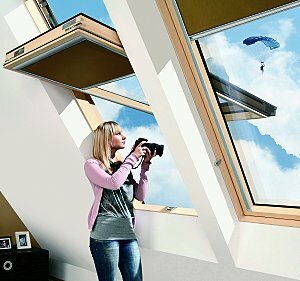 Innovative Roof Windows Add Height Without Additional Width. The new FAKRO FYP-V proSky® and FDY-V Duet proSky high pivot windows, offer the possibility to add additional height to the window area within a standard rafter width. A ground-breaking hinge mechanism provides a raised pivot point for the sash, which enables even tall people to stand in an open window. The amount of natural daylight thus provided could only be achieved otherwise, using windows in a vertical combination, or by having wider windows. 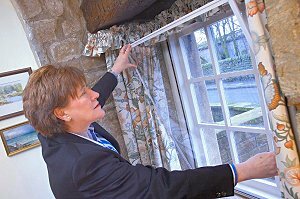 One of the UK’s leading home improvements companies Anglian Home Improvements, has launched a ground-breaking way to help consumers understand and choose the best energy efficient windows for their home. Anglian’s ‘EcoGain’ windows are designed principally to decrease energy usage, while their ‘EcoRetain’ windows keep heat loss to a minimum. The difference between the two is how ‘EcoGain’ lets in more sunlight, which importantly acts as free heat. Both of these products have been planned to throw light on the complex conventional windows energy rating system that baffles consumers. The New England Shutter Company is totally unique. The only company which designs and makes genuinely bespoke solid timber shutters. The company has an international reputation with top interior designers, leading architects and private customers. 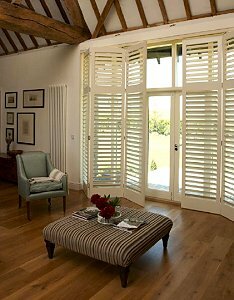 American Shutters is a long established name in tailor-made wooden shutters. 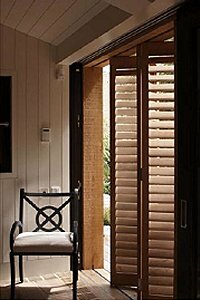 The owners, Simon and Sophie Eadie have tried to create a “one stop” shutter company, with as many types of beautiful shutter designs and finishes as possible; many of their shutters are unique to American Shutters. Finding the right windows and doors for any period property can be a bit of a nightmare and also very expensive. Happily Ayrton Bespoke offers the perfect solution and can reproduce any style you need at a price you can afford. 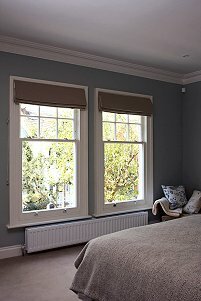 Ayrton Bespoke has gained a reputation for creating period designed, high quality timber windows and doors for the homeowner and trade markets. This reputation is based on three principles: professional design, outstanding craftsmanship and exceptional value. 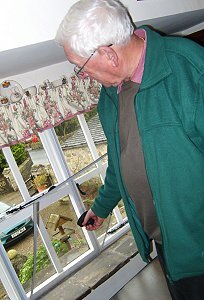 The enthusiasm of pensioners Elisabeth and Peter Hey, when you ask them about secondary glazing is based on recent experiences, and the knowledge that their monthly fuel bills have dropped significantly. Elisabeth said: “We noticed our energy bills go through the roof, when our energy provider disbanded a tariff that was introduced specifically for older people and put us on a standard rate. 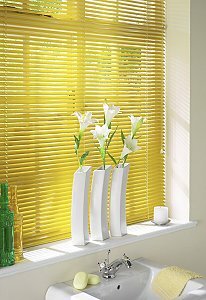 A choice of 4 slat widths in over 100 colours and a new Child Safety cord connector, are key features in the new made-to-measure Metal Venetian blind collection from Sunway Blinds. The new Cord Connector, available on 16mm and 25mm slat blinds, addresses the current issue of Child Safety in window blinds head on, by making the blind cords completely safe for children and pets, as downward pressure on the cord, breaks open the connector, thus releasing the cord and preventing dreadful accidents. The Sunway metal Venetian range also offers a wide range of pale and natural colours and metallics, as well as the funky modern on-trend colours and stunning perforated slats, which give an interesting play on light. Kelly Hoppen has designed a new range of striking wooden plantation shutters. 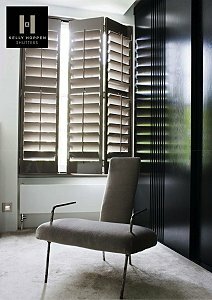 Adding Kelly’s signature colours and textures to the world of window treatments, has brought a stunning new range of shutters guaranteed to transform any home. A range of grey’s, taupe’s and blacks is available in an eggshell paint or striking high gloss lacquer. 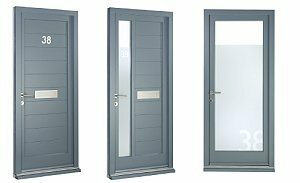 TimberWindows.com has introduced an exciting new contemporary timber door and window collection named URBANE. The new range – comprising a selection of door styles, a flush casement window and a storm proof window – is available made to measure in a wide choice of colours and stains. British designed and manufactured in the UK, URBANE meets the demand for clean, modern but stylish products from end-users and architects that complement both modern and more traditional properties.